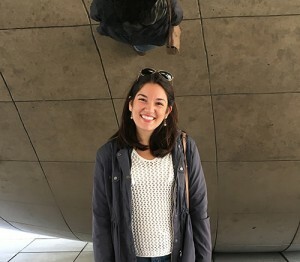 Maria recently graduated with honors from the University of Illinois at Chicago Honors College, receiving a dual degree in Biological Sciences and Psychology with a Chemistry minor. She was a Presidential Awards Program Honors Scholar and participated in UIC’s GPPA Medicine Program. 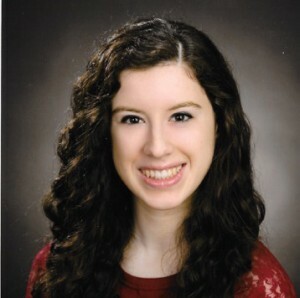 In the fall, she will be attending UIC’s College of Medicine and aspires to become a physician. While at UIC, she served as president of the Hellenic Student Association. For the last two years, she has taken part in the Midwest PanHellenic Youth Association’s PanHellenic Charity Youth Ball committee and headed the committee this year. She is the third of four very close-knit sisters and the daughter of Greek immigrant parents from Sparti and Thiva. She grew up in love with the Greek culture and heritage, speaking the Greek language, dancing in traditional Greek dance troupes, attending a Greek Orthodox Church and so on. Being Greek is the foundation of her identity. She has lived in the Chicagoland area her whole life. Her hobbies include tennis, basketball, reading, movies, and Greek music and dance. Maria is immensely excited to be participating in Heritage Greece 2016 and looks forward to the unforgettable experiences that no doubt await! Hi! 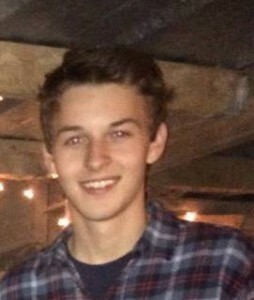 My name is Vasilios Armiros (I usually go by William), I’m 19 years old and from the suburbs of Chicago. Currently, I’m finishing up my freshman year at the University of Illinois at Urbana-Champaign where I study electrical engineering. I am heavily involved in Model United Nations and my fraternity on campus. I am interested in foreign affairs, technology, and movies – my favorite is either The Silence of the Lambs or The Shawshank Redemption. My dad moved to the States from Greece with his parents as a child, so I am only half Greek but his side of the family has instilled in me a love of Greek food and traditions (which unsurprisingly wasn’t that hard). I have only been to Greece once when I was very young and couldn’t commit much to memory, so I can’t wait meet everyone and be fully immersed in the country this June! My name is Angelika Ballas. I am from Charlotte, NC. I am a rising sophomore and attend the University of South Carolina at Columbia and am majoring in business. I am excited for this journey and the cultural benefits ahead! 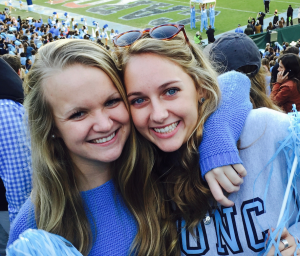 I was born and raised in Georgia and I currently attend the University of North Carolina at Chapel Hill. I spend most of my free time outdoors, trying to find a new adventure to take part in. I love to travel and I’m incredibly excited to be traveling to Greece this summer and learning about my heritage. 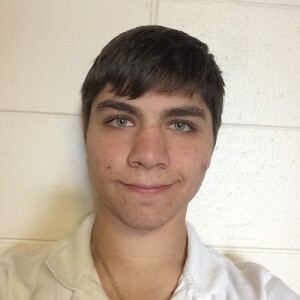 My name is James Brockett, I am from Southbury Connecticut and I currently attend the University of Connecticut as a freshman. I am a Digital media and Design major. I plan on pursing a career in animation and motion graphics. Besides that I have always enjoying being outside and pursuing activities such as skateboarding, hiking and running. My Greek heritage has always been a huge part of who I am. However, so far in my life I haven’t had the experience of visiting my ancestral roots. I am honored to have been selected to participate in Heritage Greece 2016 and I am very excited to experience this once and a lifetime opportunity. The Greek Heritage Program is really Important to me because I don’t have a lot of knowledge of the Greek culture and what it means to be Greek. I have some knowledge but I want to know more about my heritage, and learning the language. Going to Greece would expand my mind and assist me in becoming more appreciative that I am Greek. I would be around people who are Greek just like me, make new Greek friend’s and having a wonderful bonding experience with them that would last a lifetime. Learning how to speak Greek would also be something new for me to experience. Being in the Greek community is a wonderful privilege to have, I am very blessed for being in this community and everyone embracing being Greek. This is a privilege because this would be one time experience being around kids my age learning the importance of our heritage. I have always loved embracing that I was Greek, being Greek is a cool thing to be because being Greek has a long history to it. Going on tours and seeing some of the old statues really brought a lot of knowledge to my eyes on what Greece really meant and how our community is getting stronger and stronger. I think it is very important for young adults to go and experience Greece and have a good understanding and appreciate the Greek culture. What I hope to learn in the Greek Heritage Program is to learn how to speak Greek, have some more knowledge about the heritage, and to make some new friends who are Greek. Going to this program would be wonderful opportunity and a privilege to go to. Natalie Cernius is the youngest of four children in a Greek-American family. 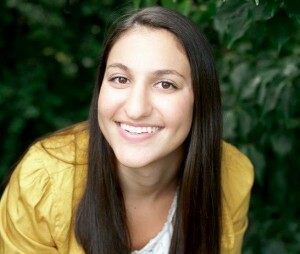 Originally from Southern California, Natalie is a sophomore at Harvard College, studying Philosophy and Classics. 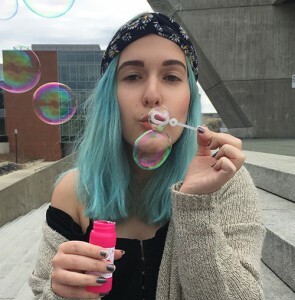 Outside of class, she enjoys performing community service, leading Harvard Undergraduates Raising Autism Awareness, which serves the special needs community of the Greater Boston Area, and helping underprivileged teens prepare their college applications through Harvard’s Writing and Public Service Initiative. 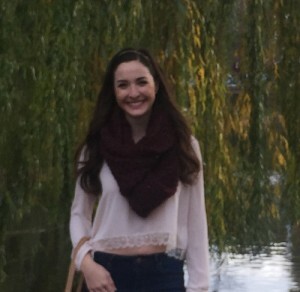 Natalie has a passion for language and cultural studies (especially the Greek culture and language! ), and loves to travel. She is a classical pianist, a huge tennis fan, and a strong Greek Orthodox Christian. She is so excited to be going to Greece for the first time in her life, and is so thankful to the Heritage Greece program for giving her this opportunity! My name is Alex Christodoulou i was born and raised in Walnut Creek, California a city just outside of Oakland. Throughout my childhood I loved playing sports in particular soccer. I’m currently a Chemistry major at Sonoma State University but i will be transferring to UC San Diego in the fall of this year. I’m really excited for this opportunity to learn more about my heritage by immersing myself in Greek culture! 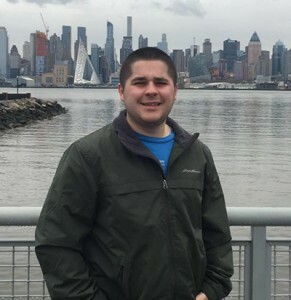 My name is Nik Douvris and I am a student at Stockton University in Galloway, NJ where I am a student of finance and a brother of the Kappa Sigma Fraternity. I am currently on the executive committee of the Stockton Hellenic Society. My paternal grandparents came from Greece to America in 1954 and 1960. I am from a small town in NJ where I have attended the Greek Orthodox Church all of my life. This will be my first time going to Greece and I am excited to see and explore my cultural roots! Hi! My name’s Jaime Duros. I am 20 years old and I’m from Vernon Hills, Illinois. In the fall, I will be a senior at Indiana University, where I’m majoring in Speech and Hearing Sciences with a minor in Psychology. At school, I have also taken Modern Greek language courses that I am eager to put to use in Greece. Three things to know about me: I love to travel, I love being Greek, and I love my Cavalier King Charles Spaniel. Two of those three facts show how Heritage Greece is an amazing opportunity for me that I am unbelievably excited about (though I will definitely miss my dog a lot). I can’t wait to explore Greece with new people who are as enthusiastic about their culture as I am! Hi! My name is Samantha Duros and I’m from Chicago, Illinois. I am 23 years old and have just attended Indiana University in Bloomington, IN. My major is Economics, with a minor in Business. I am a member of the sorority Kappa Kappa Gamma, where I have enjoyed meeting so many new people and have served on our chapter’s executive council. Over the past 3 years I have been involved in the nation’s second largest fundraiser organization called Indiana University Dance Marathon, which is a 36-hour dance marathon that raises money for the Riley Hospital for Children in Indianapolis. Last year we raised over $3.8 million dollars! This organization is something I am very passionate about, and I have been on several committees to help set it up. My family is very involved at our church, which has allowed me to meet many great people within the Greek Orthodox community. I am so excited to meet more new people through the Heritage Greece 2016 program, all while learning more about Greece and its unique culture! 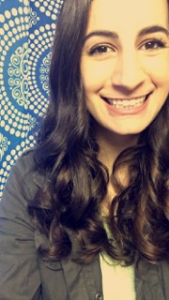 My name is Eleni Eisenhart and I am majoring in Public Relations and minoring in Environmental Ethics at Marquette University in Milwaukee, WI. At my college, I am a designer and enjoy the creativity that comes with design. In my free time, I enjoy writing, exploring the city, spending time with friends and listening to music. I love cooking Greek food and am beyond excited for all the food in Greece. I am looking forward to meeting everyone and exploring Greece. Hello, my name is Katerina Exarhos and I am from Charlotte, North Carolina. I am a rising sophomore in college at the University of North Carolina at Charlotte and majoring in Business. I enjoy spending time with my family, shopping, and traveling. I am very excited to embark on this unforgettable journey and am looking forward to embracing my heritage. Hi! 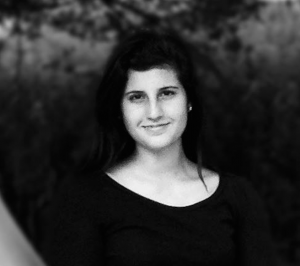 I’m Maria Gergoudis, a rising sophomore at the George Washington University in Washington, DC. As of now, I’m studying biology on a premed track (I’m interested in wildlife biology as well as sports medicine and anatomy). I’m from Richmond, VA, but consider DC to be my second home– I love exploring the area, going on runs, and spending time outdoors, especially on the National Mall. I’m so excited for Heritage Greece, and can’t wait to spend two weeks with new friends in a beautiful country! My name is Dimitri Gianopulos. I was born in Fort Campbel, Kentucky. My father is in the U.S. Army, so I tend to move every 2 to 3 years. I am currently living Fort Hood, Texas, and currently attending Central Texas College. I am a soccer trainer and coach for the community club teams here in Killeen, Texas. I’ve never been to Greece and am really looking forward to the whole culture experience! My name is Lauren Gordon. I’m 24 years old… Born and raised in southeastern Michigan! I graduated from the University of Michigan in 2014 and will be attending PA school in Massachusetts next spring! I’m currently working as a patient care technician at a local hospital and working at my mom’s flower shop. Some of my hobbies include: playing with my dog (a shih-tzu/yorkie mix), playing tennis and golf, spending time with my family and traveling. I cannot wait to meet everyone and explore Greece together! I wear my Greek heritage on my sleeve. My Mother was born in Greece and, along with Papu and Yaya, immigrated to America. I have always been active in my church. I was involved in GOYA and served as an officer on its Board. I also participated in Folk Dance Festivals from the age of six and played GOYA basketball. I attended a small high school, The Park School, in Baltimore, Maryland where I played on its varsity soccer and lacrosse teams. 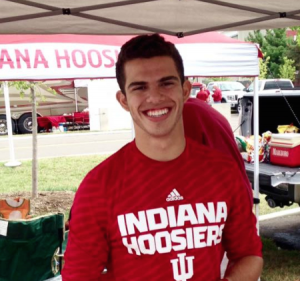 I am currently enrolled in the Kelley School of Business at Indiana University, where I am a dual major in both Business and Greek Studies. I am also a member of Indiana’s Greek Club and serve on the school’s Board for Big Brothers and Big Sisters. I am driven by my desire to help others through interaction and fundraising. I love watching and playing sports, as well as hitting the gym. I believe that profits and corporate responsibility are not mutually exclusive concepts and I hope someday to be in a position to make a difference in the business world. I’ve always loved the history behind ancient Greece, being able to visit all these archeological sites around the country is an opportunity I didn’t think I’d be able to have. I’m eager to practice what Greek I know, as well as learn so much more. Hi, my name is Kalena Laurent and I’m from Seattle, Washington. I’m a rising senior at Fordham University in the Bronx, New York studying psychology and bioethics and a member of the women’s varsity swim team. I love to spend time with my family and friends, exploring the beautiful Pacific Northwest and finding the best coffee shops in town. I take great pride in my heritage, being half Greek, half French. Born and raised in the Greek community in Seattle, and baptized in the St. Demetrios Church, visiting Greece has always been a dream of mine. I’m honored and grateful for the special opportunity to immerse myself in the culture that means so much to me. I look forward to trying new things and making lifelong memories and friends with my fellow Greek-Americans! My name is Brooke Lyons-Justus. I am currently a third year student at the University of Vermont, where I am majoring in Environmental Studies with a concentration in Environmental Health. I am originally from Northern California but I have been living in the Northeast for the last three years. At UVM, I am a part of many environmental organizations and I am employed by the Office of Sustainability. After I graduating from UVM I hope to pursue a Master’s in Public Health and focus on environmental health issues. In my free time I enjoy hiking, rock climbing and backpacking. I absolutely love to travel and I am looking forward to exploring Greece with the program this summer. 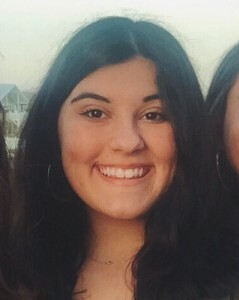 My name is Christen Massouras, and I am currently a rising sophomore interested in double majoring in Marketing and Global Studies at the University of Illinois Urbana-Champaign. At the University of Illinois, I am busy spreading school pride as a Student Alumni Ambassador, a premier club that works with the President of the University to organize Freshman Sights and Sounds, Homecoming, I-Help Volunteer Fest, and Grad Fest. Additionally, I am involved in the American Advertising Federation, Hellenic Student Association, play the flute in the University Band, and am Vice President of History for the University’s Orthodox Christian Fellowship. Along with school work and extracurriculars, my hobbies include baking, pintresting, watching rom-coms, road tripping with my family, and rapping (poorly) to music from the early 2000s. I am absolutely thrilled to have this once in a lifetime opportunity. My Greek heritage, language, and faith is a huge part of my identity. I am 100% Greek, and my grandparents are from Ikaria, Megalopolis, Tripoli, and Kea. Having the opportunity to visit my grandparent’s homeland and experience my culture first hand will give me a deeper understanding of my roots and who I am as a person. Hello! 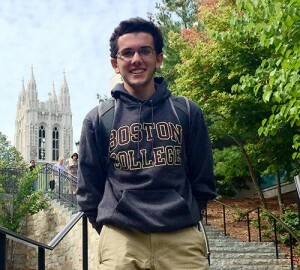 My name is August Michaelides and I am a rising sophomore at Boston College. I am majoring in History and Economics and eventually hope to become a lawyer. I grew up in Weston, Florida and went to Saint Thomas Aquinas High School. I have a younger brother and an older sister. She was apart of the Heritage Greece Program last year and had an amazing experience. I love to play soccer, telling corny jokes, and learning history. I’m very excited to be apart of the Heritage Greece program and can’t wait to meet you all and learn more about our heritage. I am Kimmi Morakis, and I am a 19 year old from Atlanta, Georgia! I currently attend Miami University in Ohio where I am majoring in Gerontology and minoring in Marketing. I love music, binge watching netflix and food. I enjoy meeting new people and traveling to new places. I have never been to Greece and I’m excited for the new adventure that the Heritage Greece program will bring me on! My name is Dakota Muench and I’m from Boulder, Colorado which is at the foothills of the Rockies. 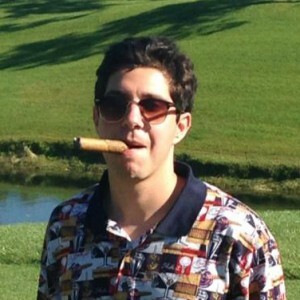 I’m a student at the University of Colorado at Boulder where I study finance. I’m a racquet sports aficionado, but also enjoy any sport or activity that gets my heart rate up. In between school and teaching tennis, you’ll likely find me absorbed in the latest episode of some obscure podcast or gabbing with friends over coffee. I’m eager to meet other participants, immerse myself in the culture of modern Greece, and learn more about its history. Hello! My name is Nicole Nasser and I am from the San Francisco Bay Area. I am half Greek and half Lebanese. I will be a senior next year at Santa Clara University, where I am majoring in Psychology with a minor in Religious Studies. I love God, dancing (including Greek dancing), playing sports, going on adventures, and good conversation. I will also be a Camp Counselor this summer at St. Nicholas Ranch for the Greek Orthodox Metropolis of San Francisco. I look forward to making lasting memories, meeting new people, and learning some Greek this summer! I am so excited and grateful for the opportunity Heritage Greece has given me to visit Greece for the first time and explore my Greek culture! Jessica Nicholas is from Chicago, Illinois. Jessica is completing her freshman year at Villanova University. Jessica is in the Honors Program in the School of Business. She is a member of the Blue Key Society, and in this society she serves as a student ambassador, providing tours and other services to prospective and incoming students. 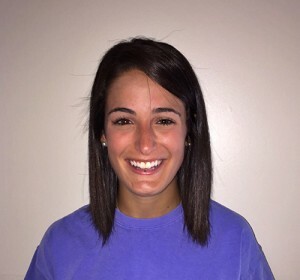 Jessica is also a member of the Equity Society and is also a member of the Alpha Chi Omega sorority. 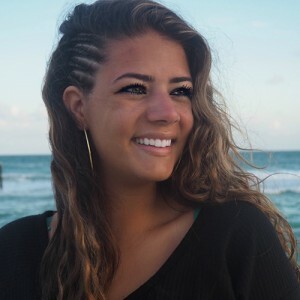 She was a competitive Varsity high school swimmer for 4 years and has worked the last three summers as a lifeguard in the Chicago area. She likes to travel, be with friends, exercise, and watch Villanova basketball. She collects seaglass and loves to be by the water. Hi I’m Jenna! I’m beyond excited to be returning to the Motherland this summer. I love music, traveling, and all you can eat Greek food (especially gyros). Don’t let my very pale complexion fool you, I’m actually 100% Greek and stocking up on 50 SPF. Can’t wait to meet everyone and for our journey to begin! My name is Yianna and I’m just finishing my sophomore year as a nursing student at Loyola University Chicago. 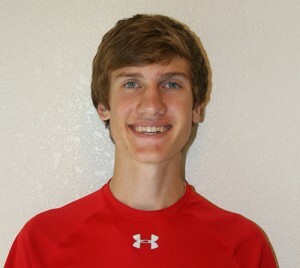 I’m originally from Denver, CO and I love playing basketball and the piano. I have an older sister, younger sister, and younger brother. I absolutely love to Greek dance, especially Cretan, and travel. I’m very excited for this program and to meet a ton of new people and experience Greece altogether! I’m currently studying broadcast journalism and international service at American University. I love going nighttime monumenting and eating cupcakes at the famous bakeries around the city. When I’m home in Philadelphia, I love going to Phillies games and attending local concerts. I’ve always loved traveling and aspire to be a journalist who specializes in international affairs. Hi! I am Annemarie and I am originally from Cleveland! I am currently a nursing Student at Ohio State (go bucks!). I absolutely love Columbus and their is a very large Greek community there. My culture has always been a part of my life; especially dancing and music. I Greek danced every year for my church’s festival in the summer and it was an incredible experience that led me into my passion for our heritage. I am actually also half Greek but my other half is Italian, so I like to say that I have the best of both worlds. I would be nowhere without my heritage and I am extremely grateful for this Heritage Greece experience! 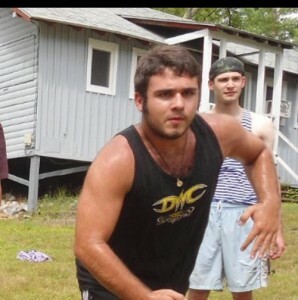 My name is Steve Parlamas and I’m from Colts Neck, New Jersey. I am a rising junior at NYU Stern studying Finance & Management. My family is from Chios and Mytilene and my Greek culture has always been important to me. I am a member of St. George Church in NJ and Holy Trinity Cathedral in NYC. I look forward to learning to speak Greek and to meeting everyone at Heritage Greece this summer! 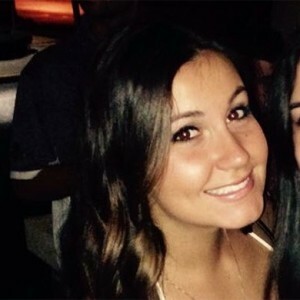 Anastasia Perreault has just finished her first year at Babson College, and has loved the experience. Her first semester, Anastasia finished with a GPA of 3.92 on the Dean’s List. 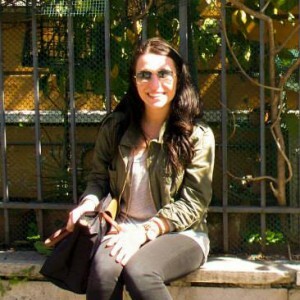 At Babson, Anastasia has had many amazing experiences for which she is extremely grateful. 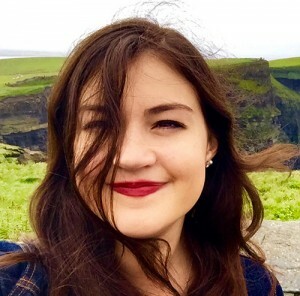 She has starred in two musical productions–as Doctor Charlotte in “Falsettoland” during the fall semester, and as Rosie “Bye Bye Birdie” in the spring–and has taken a position as VP of Finance for the student theater group, the Babson Players. For a year-long class, Anastasia acted as CFO of a student-run start-up company operating on campus, and was proud to close business in April with sold-out inventory and a net profit of over $1,500. Next year, Anastasia will mentor the freshman Entrepreneurship class and continue as a mentor in Big Brothers Big Sisters. Anastasia is so excited to be invited on the Heritage Greece trip, and cannot wait to continue to broaden her horizons on this amazing journey. 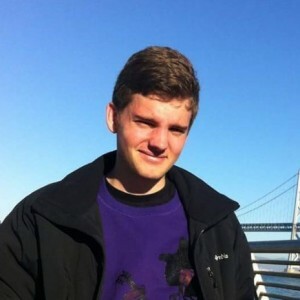 My name is Garrett Pierson, I am eighteen years old and from Redondo Beach, California. I am currently an undergraduate at California State Polytechnic University. Although my red hair seems to argue otherwise, I am a quarter Greek and very familiar with my Greek heritage and culture. I am also very excited to be attending Heritage Greece 2016. I am 22 years old and graduating from UNC Chapel Hill with a BS in biology and BA in chemistry. I will be attending UNC’s School of Medicine in the fall of 2016 and wanted to visit Greece for the first time before I start medical school. I am beyond excited to see the country I have heard and seen so many amazing things about. I greatly appreciate my Greek culture, heritage, and upbringing. I went to Greek School for 7 years and participated in Greek dance for 15 years. Seeing everything first hand will allow me to be more connected to my ancestors and family. My name is Jerry Rassias and I am a student at Georgetown University. Both sides of my family came from Greece and I am second generation American. I enjoy studying the Greek language, history and culture. Hi – I’m Sophia Semertsidis and I’m about to graduate from The Ohio State University this May with a degree in Marketing and a minor in Spanish. I’m still figuring out my plans for after graduation but I’m hoping to work in the fashion retail industry. My favorite hobbies include traveling, being a foodie, running and getting to meet new people! I studied abroad in Spain while in college and that really sparked my desire to travel the world and experience as many cultures as possible. I’ve been to Greece twice but it’s always been for visits with family so I’m very excited to get to spend time there this summer and learn more about our country’s rich history and culture. I can’t wait to meet everyone! Stavros Skoufis is an undergraduate Chemical Engineering Student at the University of Wisconsin Madison. He is a first generation American from Hartland Wisconsin and graduated from Arrowhead Union High School. Throughout High School Stavros was a 4 year varsity Wrestler and Senior captain. He also played for the high school’s soccer team all 4 years and was a part of the Robotics team. 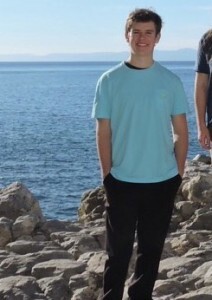 Over the course of his freshman year Stavros participated in the UW-Madison Gymnastics Club, was a part of Badger Cru, and was a part of an Intramural soccer team. Stavros Skoufis is closely tied to his church. He has been a member of the Saints Constantine and Helen Dance group along with a dedicated Alter boy. My name’s Marina Stelmack, and I’m a sophomore at Penn State University. I’m studying Secondary English Education and seeking my ESL certification. I really love traveling, running, reading, and eating (especially Greek food). This is my first time traveling to Greece, and I’m so excited! I can’t wait to meet lifelong friends and explore all the beauty that Greece has to offer. 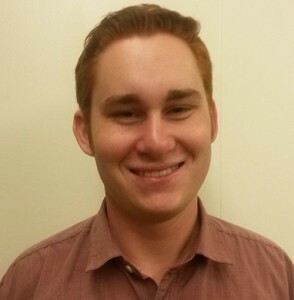 I am a senior at Eckerd College in Saint Petersburg, FL studying psychology and business management. I am excited for the opportunity to explore my heritage in Greece. My name is Katrina Syrakos and I am from Lynn, MA. I am currently a sophmore at Fitchburg State University and major in criminal justice with a sociology minor. I enjoy being around and meeting new people and I constantly involve myself in the community that I am in. I have grown up in a big city, but I spend most of my time outdoors in nature. I am so excited to meet everyone and begin this new adventure! I am so excited to be with the Greek Heritage Group. I just completed my Sophomore year at Boston University and am majoring in Human Physiology. For the next two years, I will be involved in research with a Neuroscience Group. AEPhi is the sorority with which I am involved and am Secretary of a Children’s Cancer Group called “Love Your Melon”. During the school year, I also work for the BU Admissions Office on a Work-Study Program. I live in Sarasota Florida and attend St Barbara Greek Orthodox Church. I have a 23 yr old brother (graduate of NYU) teaching in Miami and a 12 yr old sister. My one Grandfather is from Kalamata Greece and the other from Nafpaktos. They are both in the restaurant business. Basketball was my passion in High School. I was the captain of the Girls’ Varsity Team and enjoyed every minute of it! Currently, I play for a Rec Basketball League at BU. I love animals and have a dog named Coco, which I miss very much when I am away at school. I look forward to immersing myself in the Greek Culture! Hi. I am John Varygiannes and I am more than excited to have been selected to the 2016 Heritage Greece Program. I am currently a senior at the University of Missouri, Columbia. I am a Hospitality Management major that will be graduating in May and am currently looking for employment back home in Chicago. I was born and raised in Chicago and have been a Cubs fan all my life. I will be rapping the Cubs all the way in Greece. I cannot wait to make the most of this trip and experience all Greece has to offer! My name is Basil Vergados and I am a student at the University of Massachusetts Amherst studying Economics and Arabic language. Ever since going to the Hellenic American Academy in Lowell, I have approached my culture and language with unprecedented zealousness. In band I played clarinet simply because it was the most Greek instrument, am a loyal Market Basket employee (a business started and run by Greeks), and in my college dorm I let my Byzantine and Greek flags hang proudly on the wall. Throughout my life, it was only within the Greek Orthodox church and Greek-American community that I was able to truly be myself. However, with this amazing opportunity I will finally reveal my true identity and henceforth I shall forever be known, not as Basil, but as Vasili. 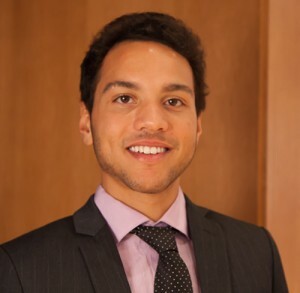 Gregory Thomas Vlahakis – Gregory is a senior at Georgetown University double majoring in Finance and International Political Economy and minoring in Economics. He is a member of the club tennis team, the student investment club, and the peer advisory program to freshmen at school. In his free time, Gregory likes to play tennis and play pick-up basketball. After graduation, he is going to start his career on Wall Street. My name is Anthony Vournazos and I am from Newtown, Connecticut. I am a freshman mechanical engineering student at the University of Connecticut. 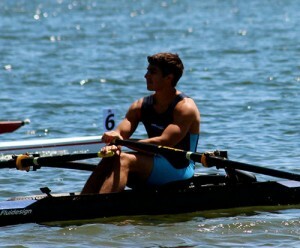 Currently, I am a part of the Men’s Crew Team for the University. 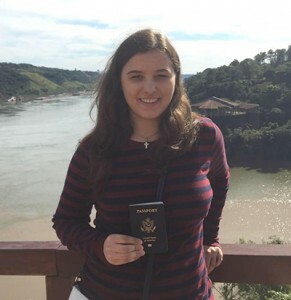 Growing up I attended the Assumption Greek Orthodox Church of Danbury, CT.
Hannah Wilson-James is a sophomore at American University in Washington, DC, where she is studying International Studies. She is originally from Santa Cruz, California. Hannah’s hobbies include theatre and writing poetry. She is very excited to travel to Greece and be able to explore this part of her heritage. Hi! 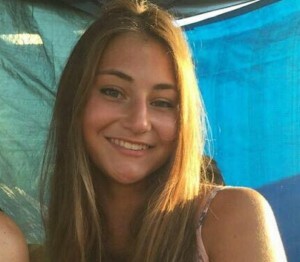 My name is Alexandra and I was born and raised by two very loving parents in Glastonbury, Connecticut. I am a rising junior at Harvard College majoring in History and Literature in the Latin America field and minoring in the Classics. Outside of the classroom, I am a coordinator for the Mission Hill After School Program. I am lucky enough to direct a classroom of 15 energetic, brilliant, and adorable 7-9 year olds. I also serve as a peer advisor to freshman, as President of the Harvard College Hellenic Society and as the HCHS Greek Dance Troupe Coordinator, and as a member of the Orthodox Christian Fellowship. I am an adoring big sister and a true music lover. I rarely turn down a cup of tea (my favorite is Jasmine tea with honey) and I am an avid and passionate baker. I love to Greek Dance, and my favorite dance is the Pentozali. I have insatiable wanderlust, and I am thrilled to be sending part of my summer in Greece with Heritage Greece!